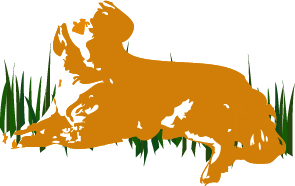 The Evergreen Golden Retriever Club (EGRC) is comprised of Golden Retriever enthusiasts living in and around the Seattle area of Washington State. Regardless of their background or activity level, all members share a love of Golden Retrievers. To preserve the structure, soundness, temperament, natural abilities and personality of the Golden Retriever as described in the breed standard and to do all possible to bring their natural abilities and qualities to perfection. To urge members and breeders to accept the standard of the breed as approved by the AKC as the only standard of excellence by which the Golden Retriever shall be judged. To protect and advance the interest of the breed by encouraging sportsmanlike conduct at dog shows, field events, obedience trials and all functions and events where EGRC is being represented. To educate members and the public in all aspects of owning a Golden Retriever. The code of ethics of the Evergreen Golden Retriever Club is designed to provide specific guidelines by which the membership can meet the objectives of the Club as stated in the Constitution.